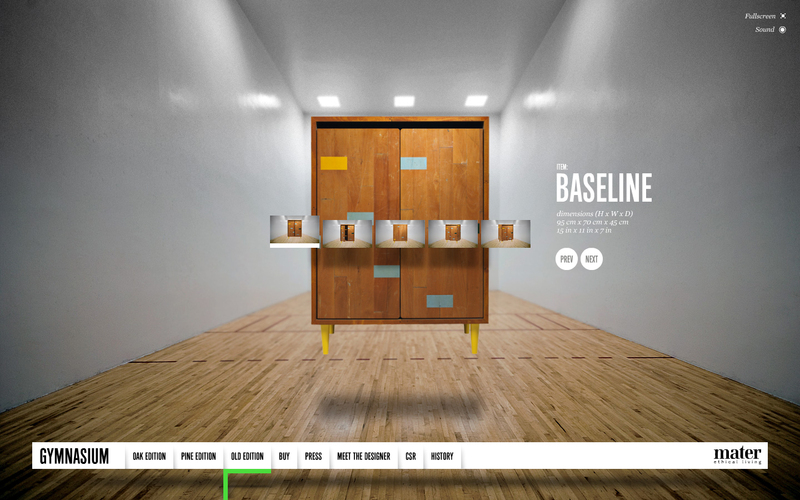 Enter a gymnasium where the interior is alive. 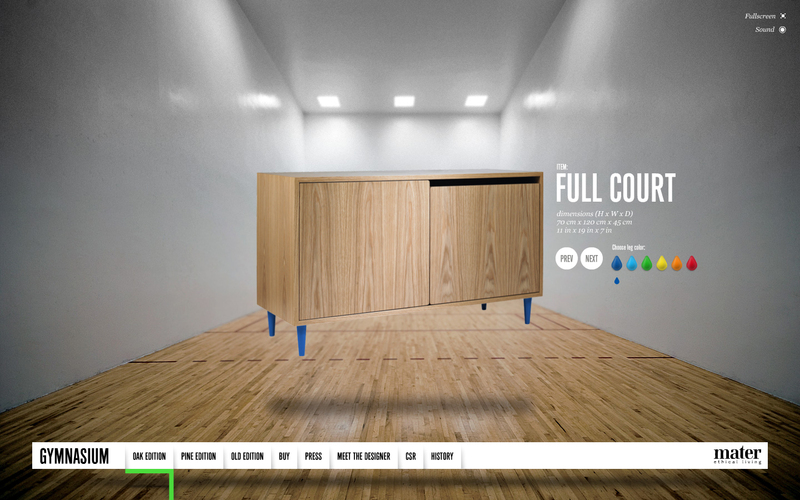 Furniture made from reclaimed gym floors is floating above ground. Sounds weird? It’s actually not that crazy. We let the furniture work out. 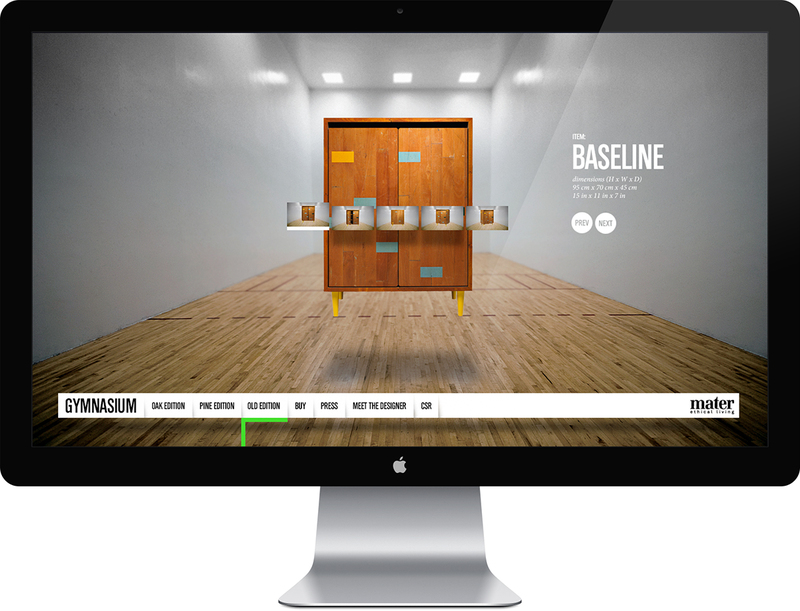 A racquetball court sets the scene, and the star of the show is a cabinet made from old wood. 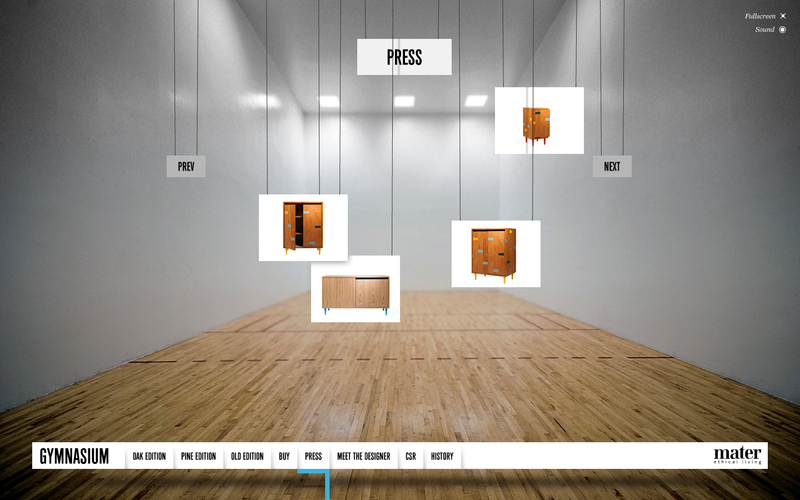 On this explorative website we let the user interact with the furniture hanging suspended in mid-air – just like all other elements of the site. Visit the site and see for yourself. Art Direction, design and UX by Spring/Summer, code by Bacon de Czar.